Al Maha Desert Resort, Dubai. Ranked #38 in our countdown of the 100 Best Hotels and Resorts in the World. 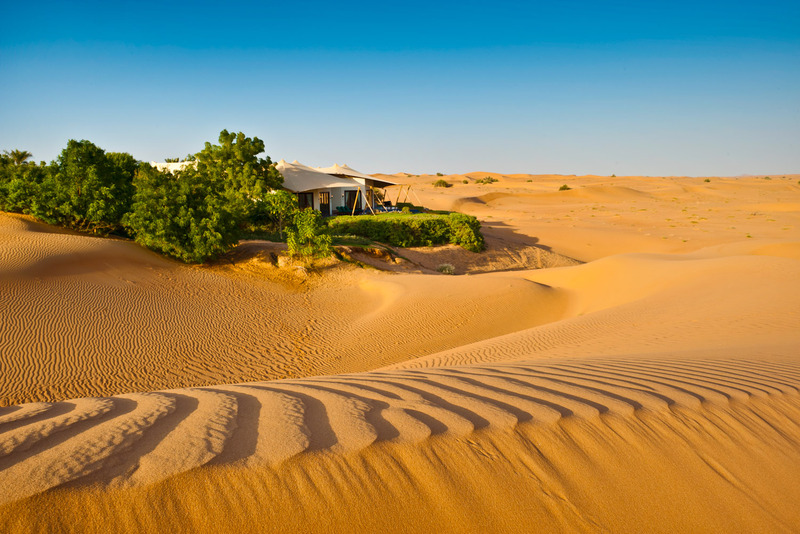 Deep within the desert sands, far from Dubai’s towers and traffic, is this super-luxe resort. The tented suites are filled with simple, sheikh-like luxuries – Middle Eastern rugs, Arabian antiques and four-poster beds, each with a private pool. Get up early to see the desert dawn and falcons soaring in the sky. Camel treks, dune drives or a wildlife safari can fill the day, or slip into the spa for Middle Eastern and Asian-influenced therapies followed by a candlelit dinner on the dunes. Did you know Falconry dates back more than 2000 years in Emirati culture. The resort has seven falcons, most of them bred especially for hunting.